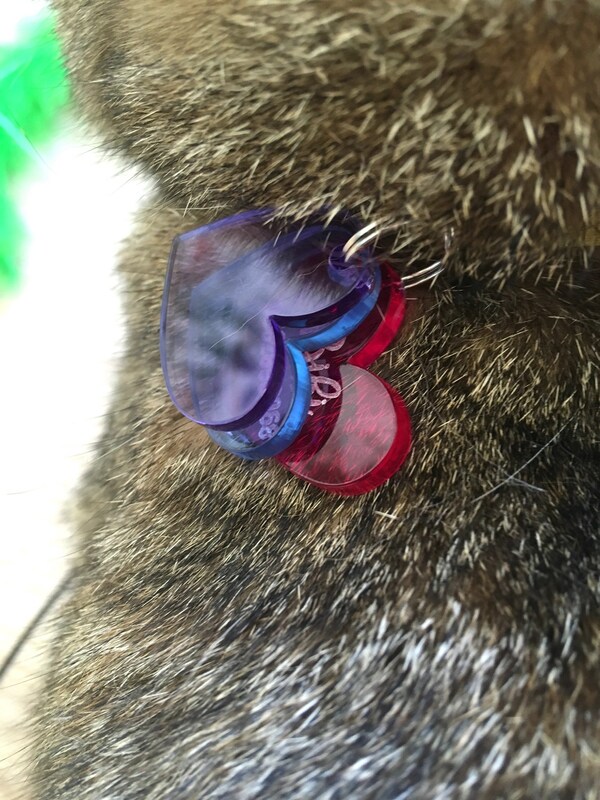 Pink, blue and purple custom laser cut plexiglass Hearts tag for cats and dogs. 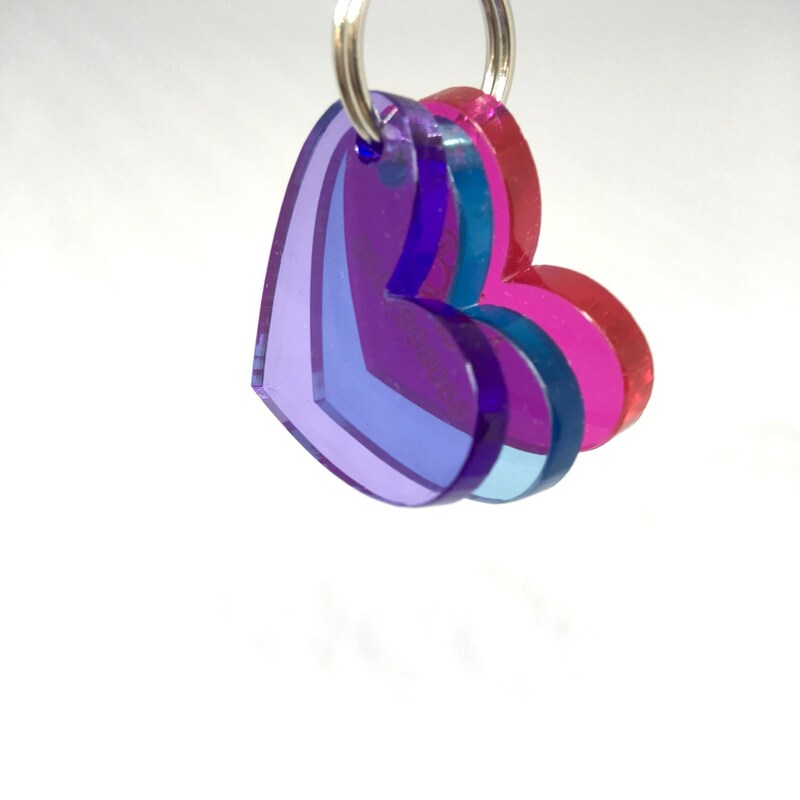 It is composed of three transparent plexiglass elements, pink, blue and purple. 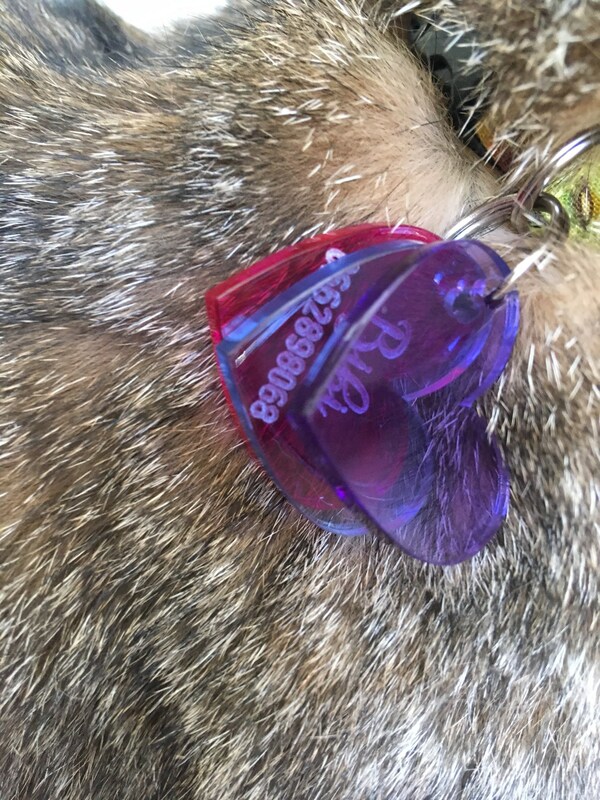 Your cat/dog's name and your phone number are engraved on the pink plexiglass. 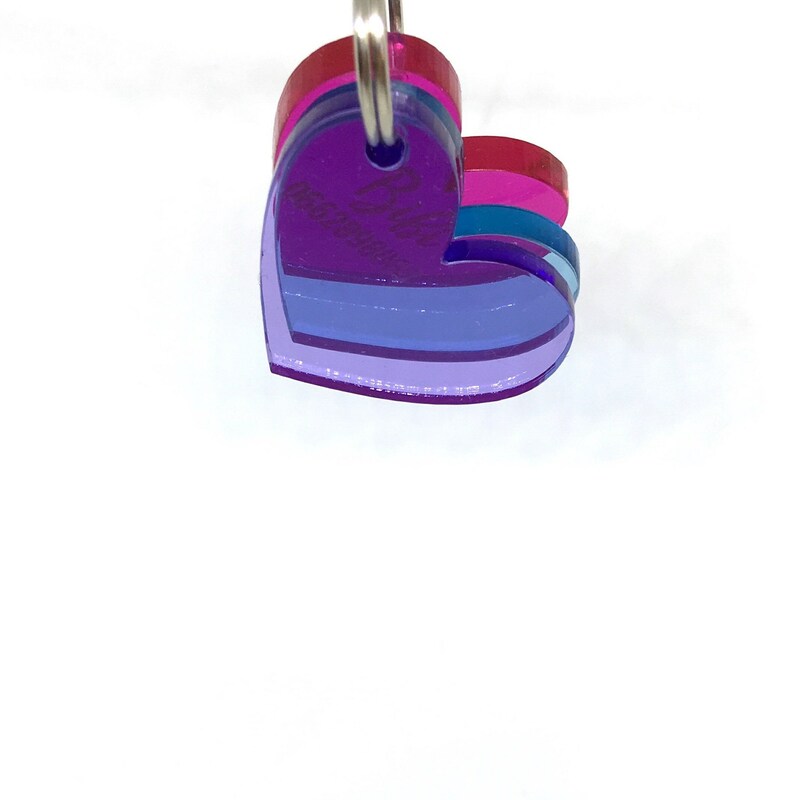 Each heart is 3 cm wide and 2,5 cm high. The entire tag is 9 mm thick.